Celebrate a graduation with this Rose gold Nomination charm. 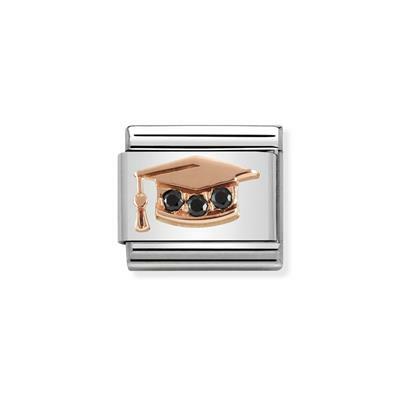 This Stainless Steel charm features raised 9ct Rose Gold graduation cap with a black Cubic Zirconia detail. Fits on any Classic sized bracelet.